Last edited by Dutchie5150; 05.07.12 at 03:38 AM. To all that have requested various tabs I believe I have sent them all out. If you do not have what you requested, please shoot me a PM. And as a side note, I am not the author of some of these tabs, some of these are ones I have come across and am sharing. Just wanted to make sure, as some are giving me credit for writing ones I didn't, and I am just too lazy to keep typing out "I didn't tab it", so I am justing saying it once here. Now that there is an official tab book out, not sure if I am infringing on copyrights by sharing tabs. If someone knows that I am, let me know and I will cease and desist. I think they are protected under fair use, but I am not sure. 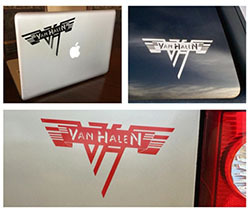 Does anyone have the tab book for the new Van Halen CD? If so, can someone help me out with giving me the tab just for china twon and / or honey baby sweetie doll? I have all the other tabs to the album, just looking for those 2 so doesn't make sense for me to go buy the book. c'mon guys! No one can help me out here? Just picked up the new cd tab book. It is somewhat accurate. I have been listening to Eddie for the last 30 years and there are parts of his style that you can really pick up on. These tabbers missed the boat on many of the solos. Especially the end of China Town. Very inaccurate. I will trust my ears. I noticed some things as well. I would hope that they would re-edit in future editions but I've noticed that they never correct mistakes once tabs are published unlike regular books. That is why I like going on line for tabs. You get multiple different takes on the way a song is played, and it helps you (at least me) come up with your own way of playing it. Does anyone have tab for That's Why I Love You? Michael Anthony signed away all his rights to Van Halen music a long time ago. This is why Wolfgang has his name on songs with riffs from a long time ago. Plus at least Wolfie probably had a much bigger hand in arranging things and acting as a sounding board with Ed and Al. To hear Eddie tell it, Mike contributed absolutely nothing to the songwriting process...the band just agreed to split everything four ways to make a everybody happy. Mike basically got alot of songwriting royalties for doing nothing...if you believe Ed that is. But back to the OP. These Tab books are wrong at least 50% of the time. Remember to use your ears as well. The TAB books are a great resource and by all means use them. Just don't get fooled into thinking that they are anywhere near the 100% gospel truth of how the music was actually played. Mike did not sign away his rights to music he was part of except for parts of the publishing of 1984. No person would do that, and Mike didn't either. Some of you spread wrong info when it comes to that. If memory serves, he signed away his rights to the Van Halen name and trademark, and to some of his songwriting credits, but his performance and publishing rights, I would be shocked if he signed those away. Whether he deserved songwriting credits can be argued, but his performance rights he deserved and then some. I think many people, myself included, get confused when discussing these type of things, as there are multiple ways a person can get paid from being in a recording and touring act. I personally know enough about it to get myself in trouble. didnt know if someone could help me out. I am trying to figure out a little ditty riff Ed does in the first part of Shes The Woman. the tablature book does not seem right to me and it does not sound right that way plus one of my live recordings seems to show Eds fingers stretched a little more than the tab in the book shows. right in the beginning of the song directly after Dave says, "I wanna be your knight in shining pick up truck." Ed does this quick little cool riff and I am trying like heck to figure it out... anyone know how to play that correctly? Maybe I have it wrong. Do you have any links to any specifics of Mike's deal? I thought that he was bought out by the rest of the band in 2004 and that he only made a little money as a performer on that tour and after that he no longer made any money from Van Halen.